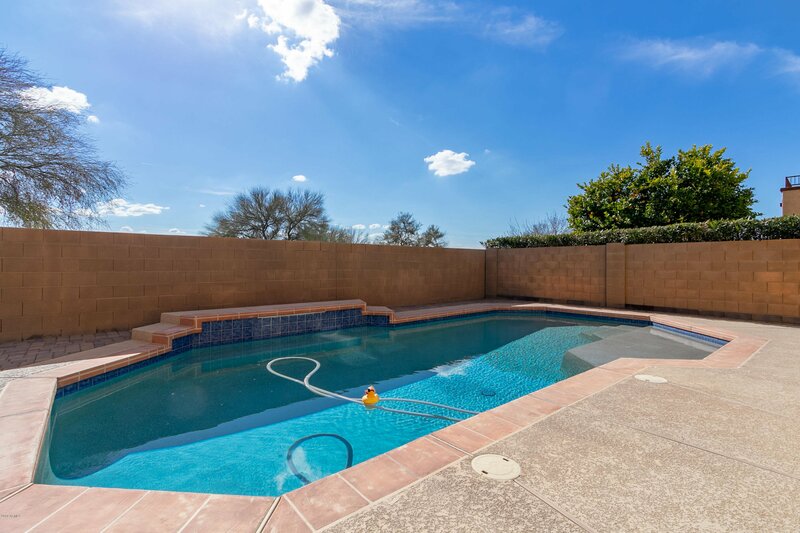 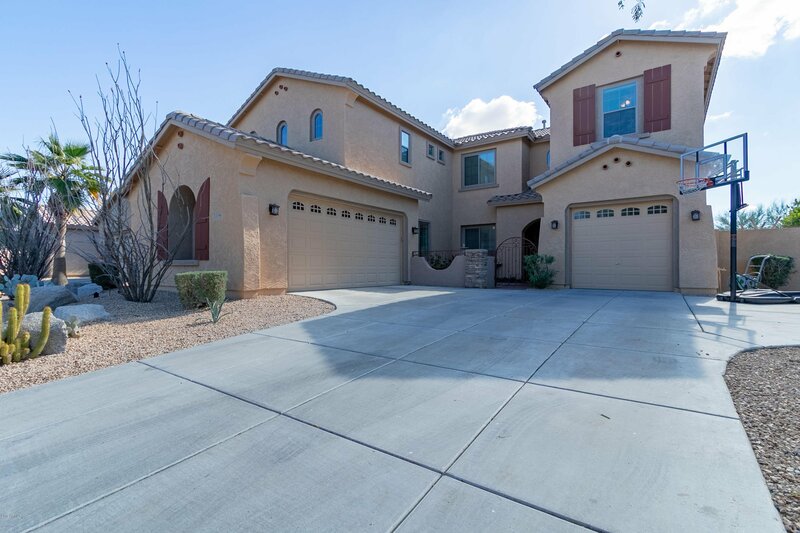 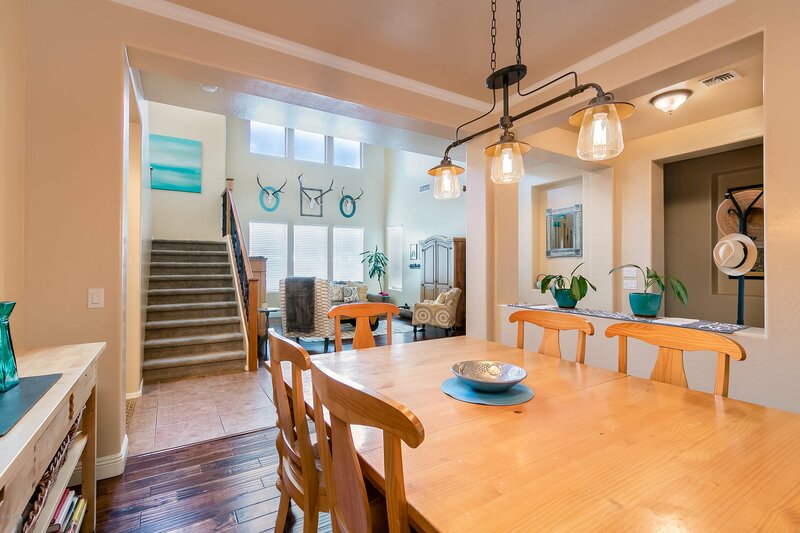 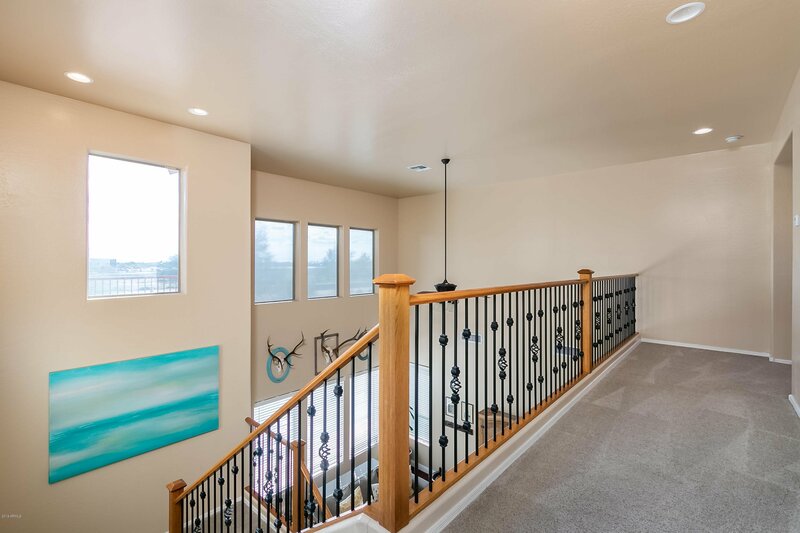 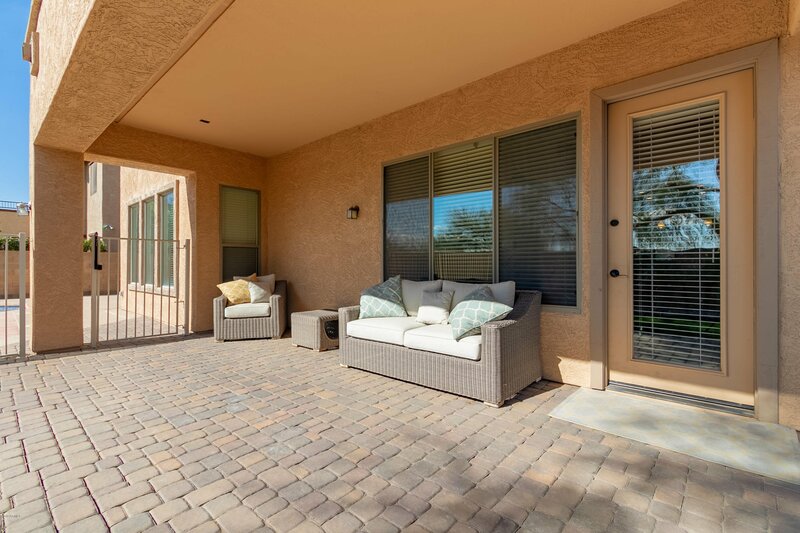 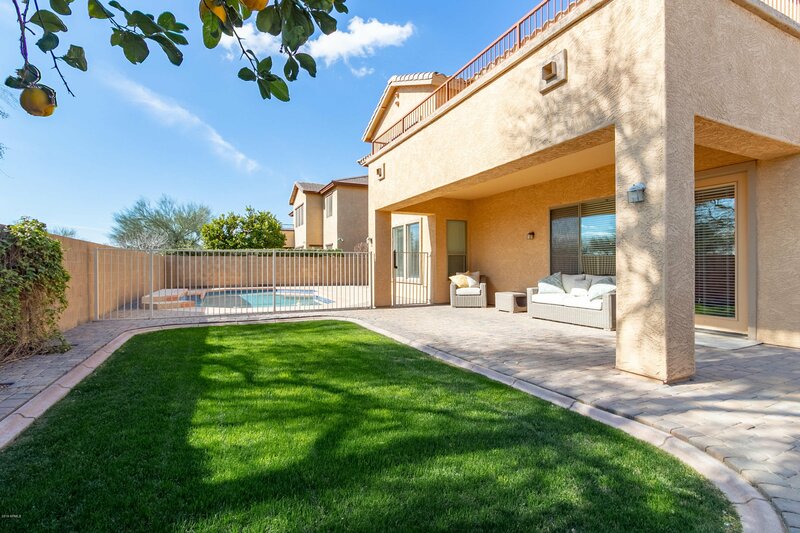 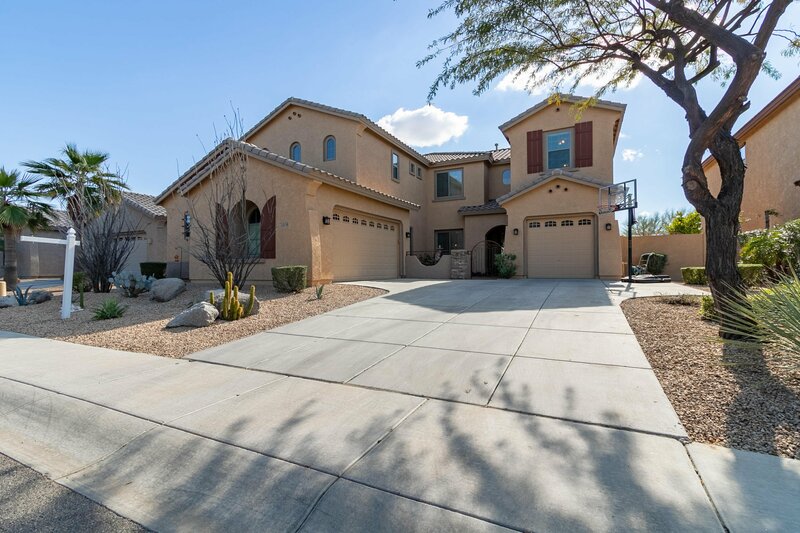 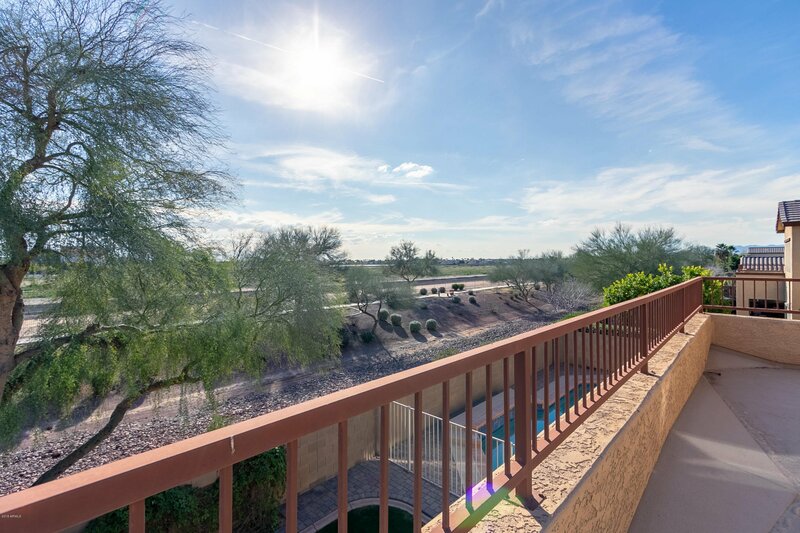 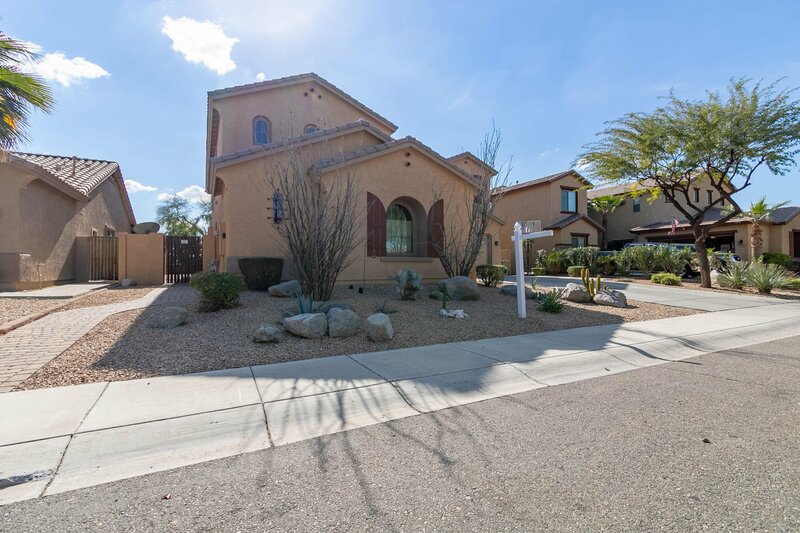 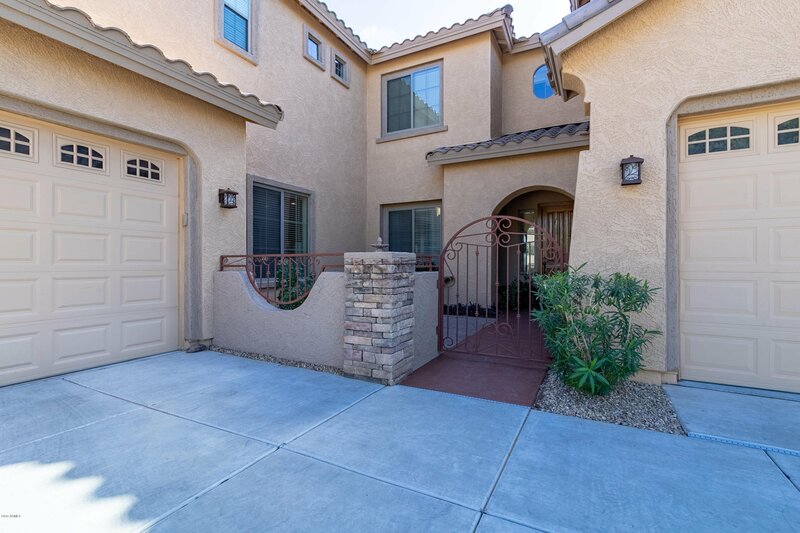 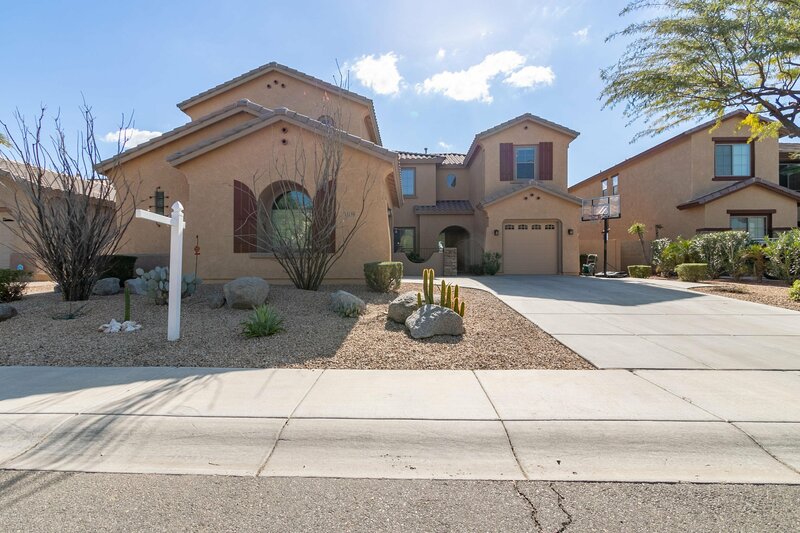 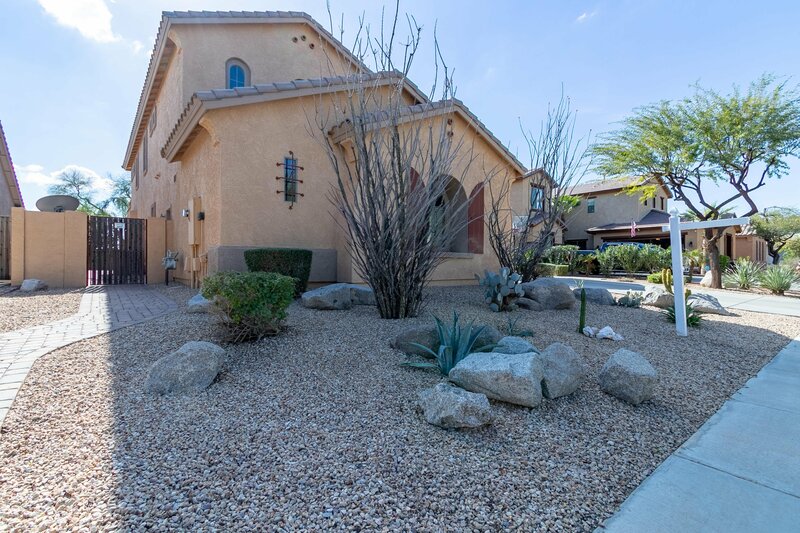 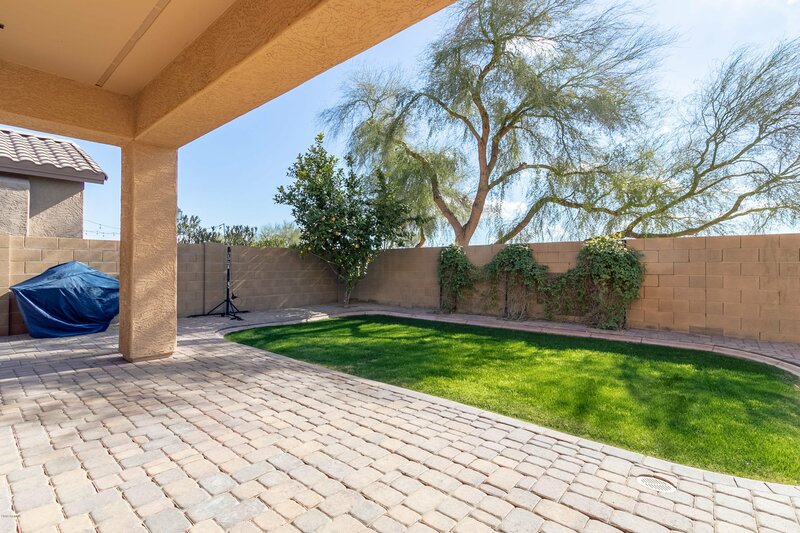 Gorgeous Litchfield Park, north/south exposure home with excellent LOCATION, near amenities features sparkling pool & beautiful 5 bedroom retreat. 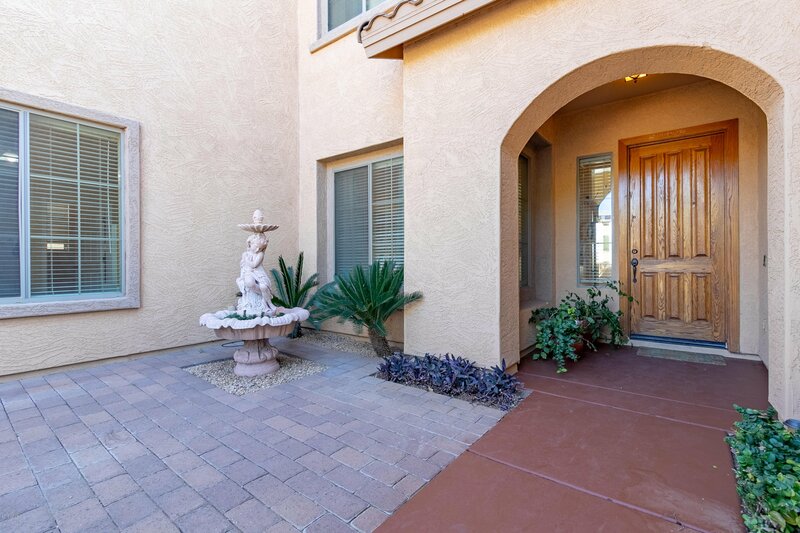 Spacious front courtyard welcomes guests. 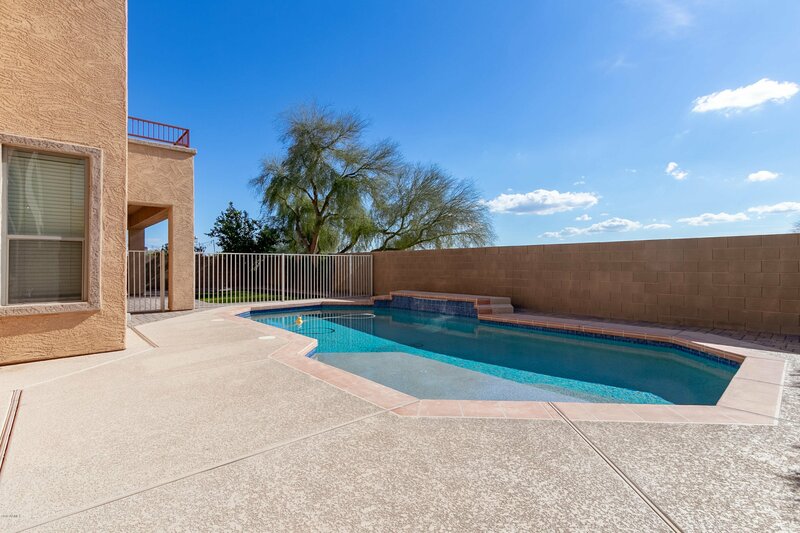 Additional relaxation space in the back yard, showcases pool with water feature, grass area, healthy lemon tree, paver covered patio for outdoor grilling & covered retreat for relaxation.A grand two-story living room with large picture windows welcomes you home, showcasing crown molding accents, upgraded wood and tile flooring throughout. 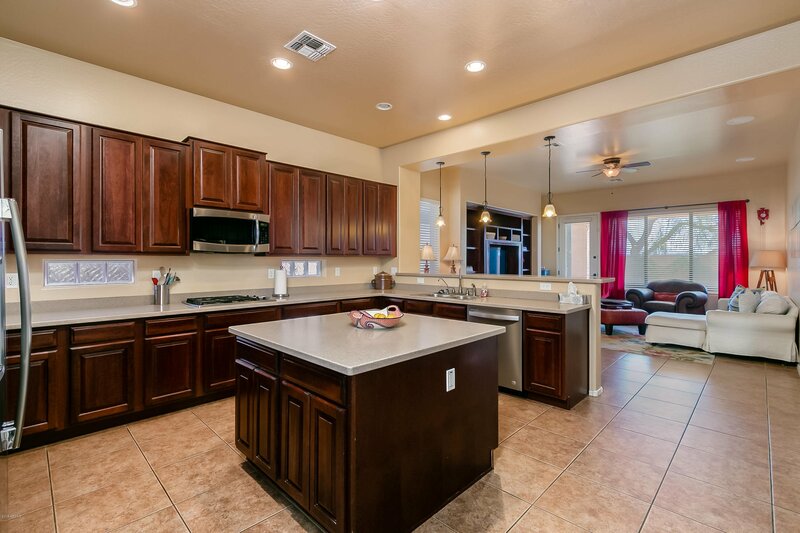 Gourmet kitchen with Corian countertops & breakfast counter overlook beautiful cooking space with cherry wood cabinets, stainless steel appliances, large island & dining area. 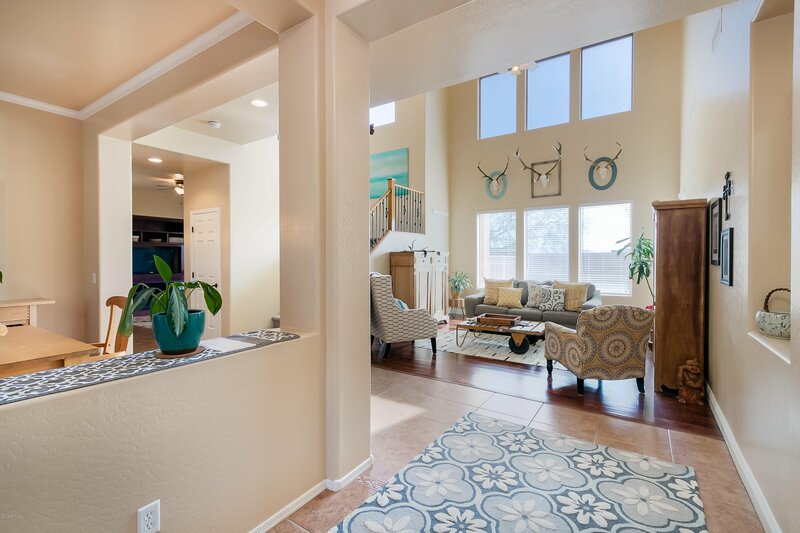 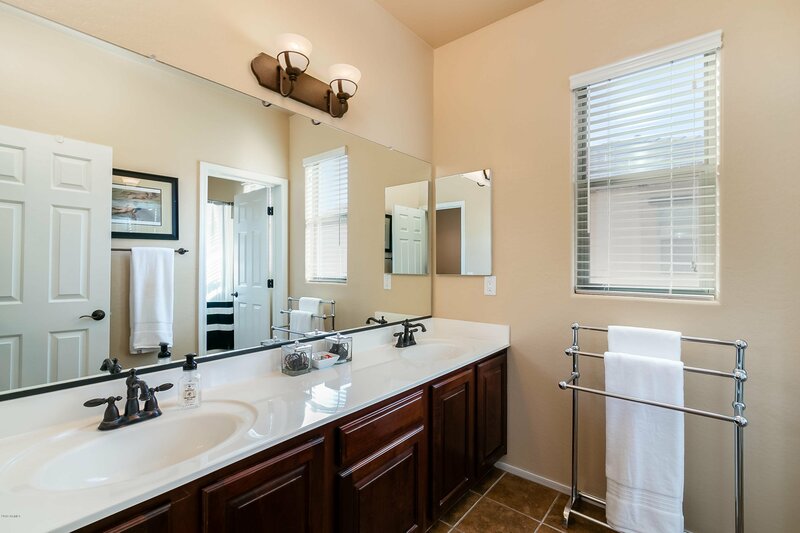 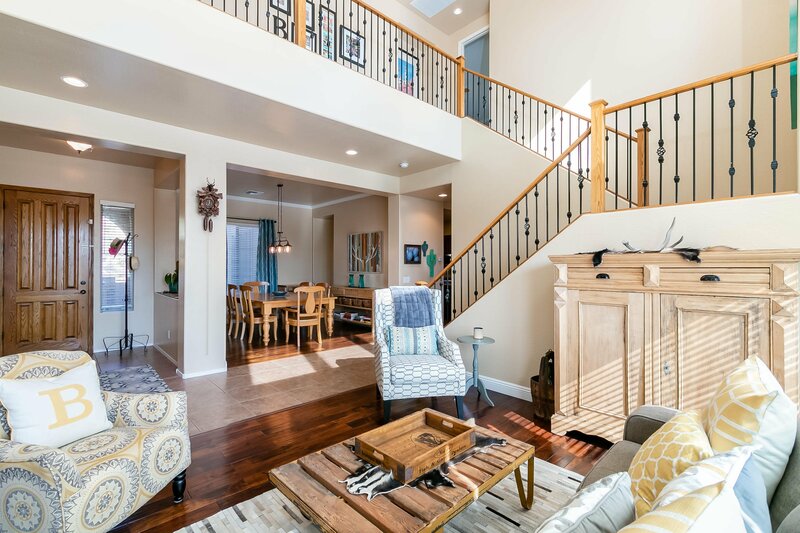 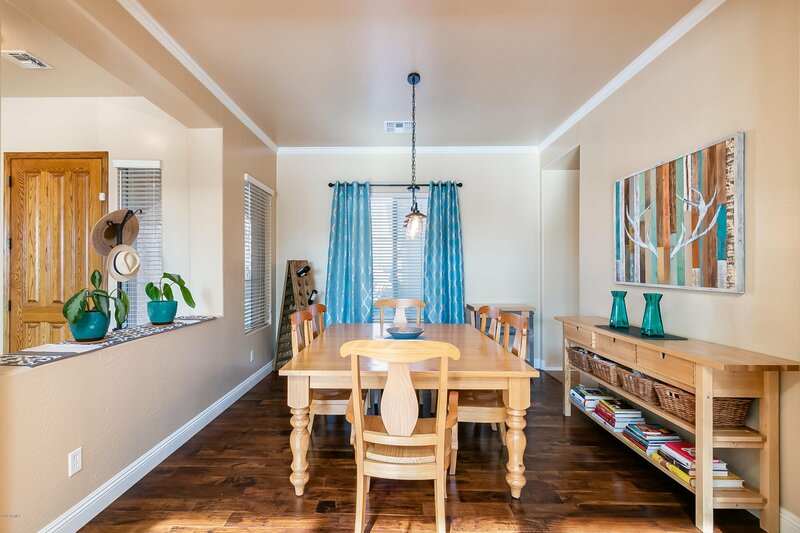 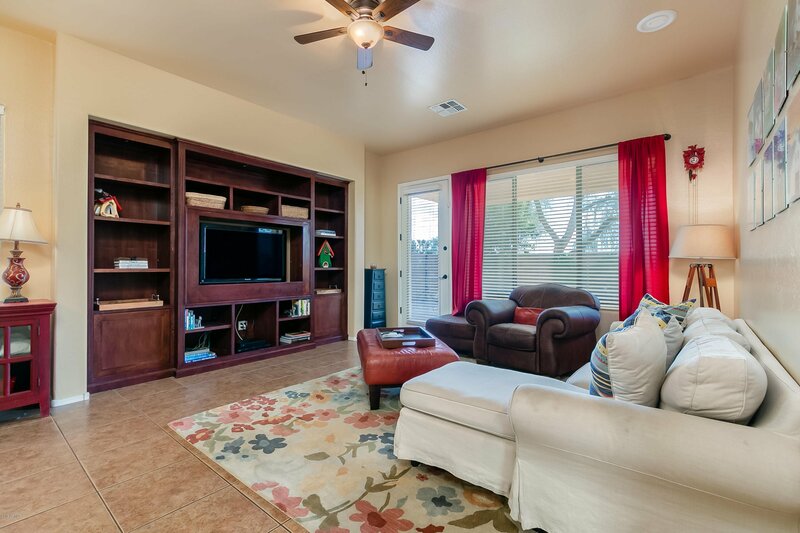 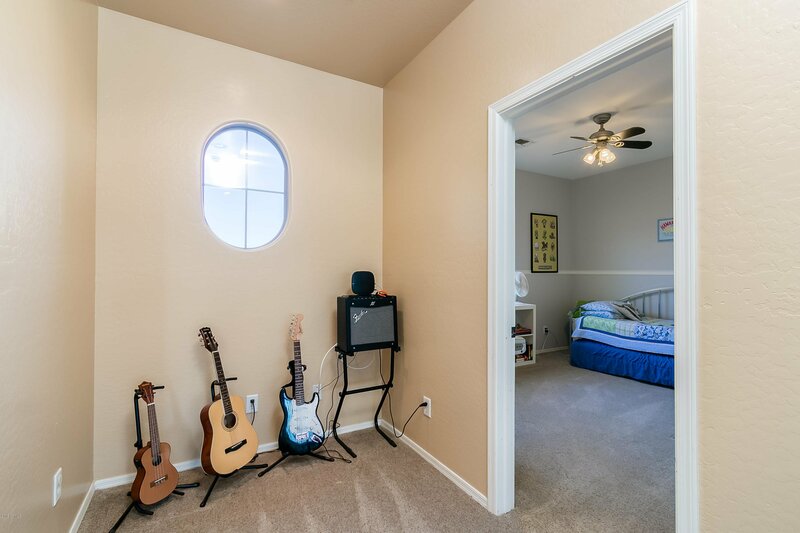 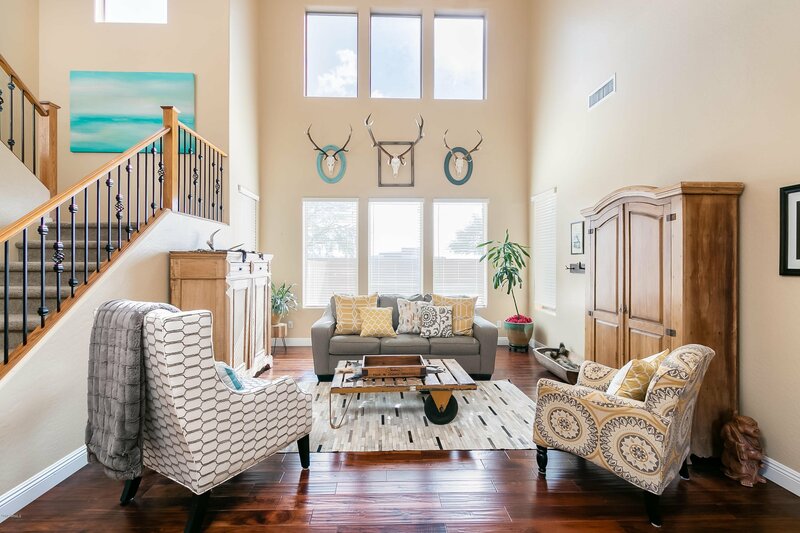 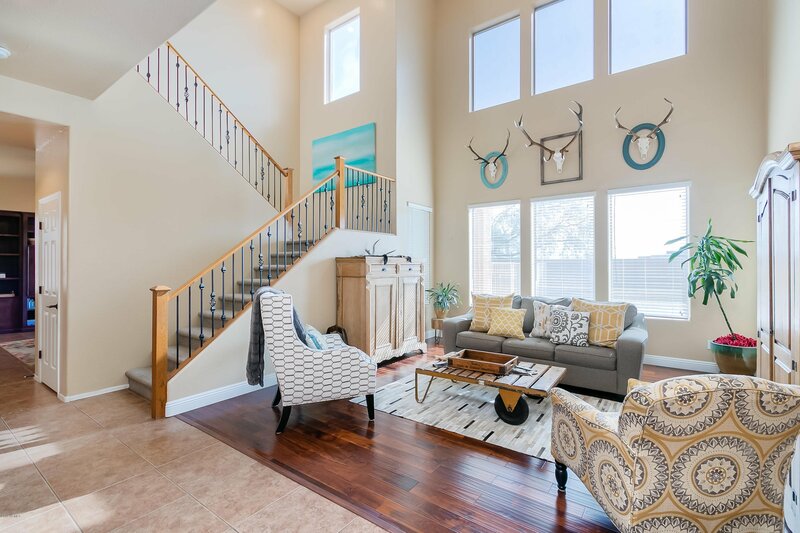 This bright & sunny home offers faux wood blinds throughout & built-in entertainment niche in family room. 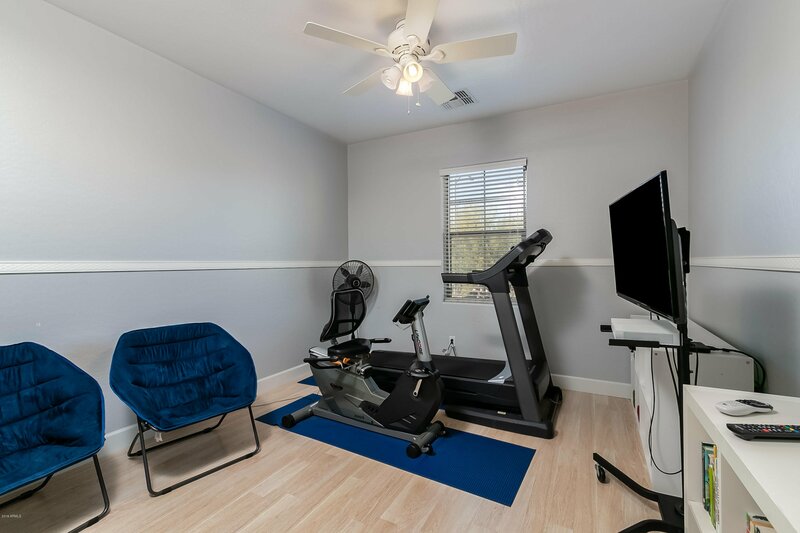 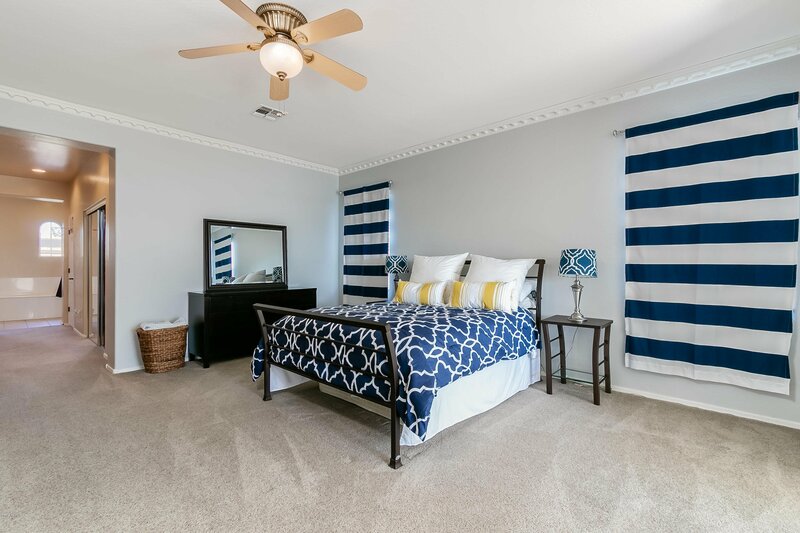 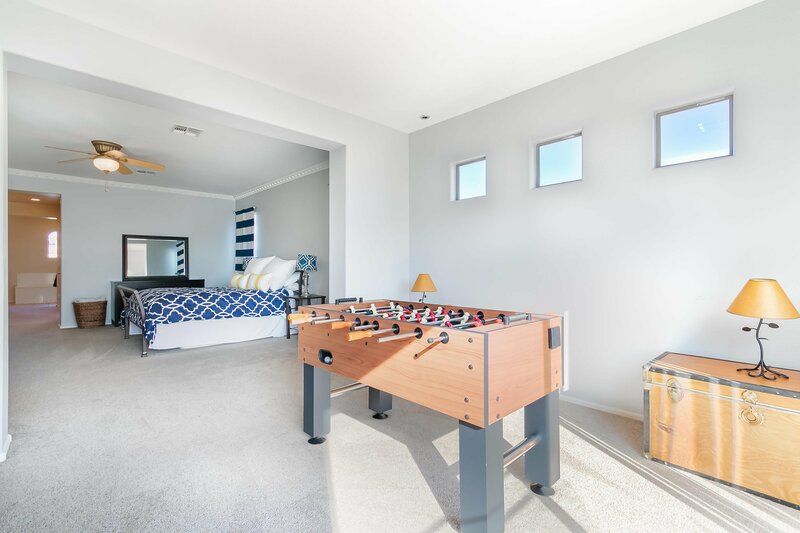 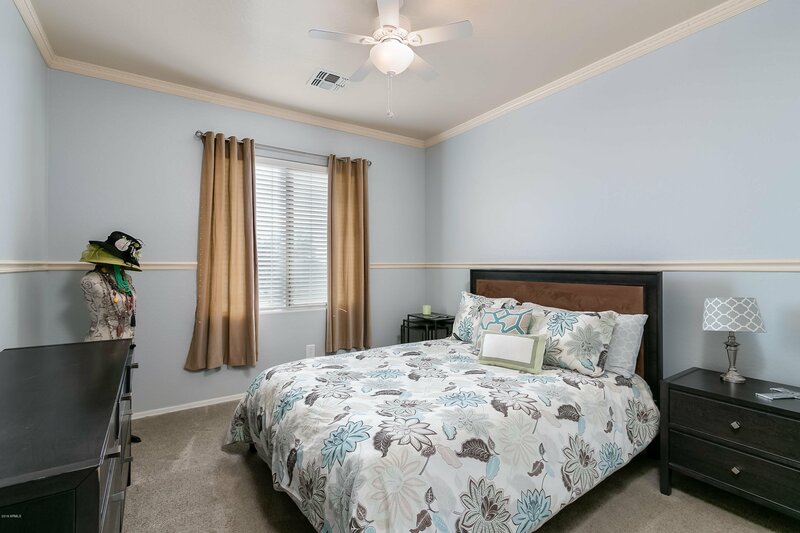 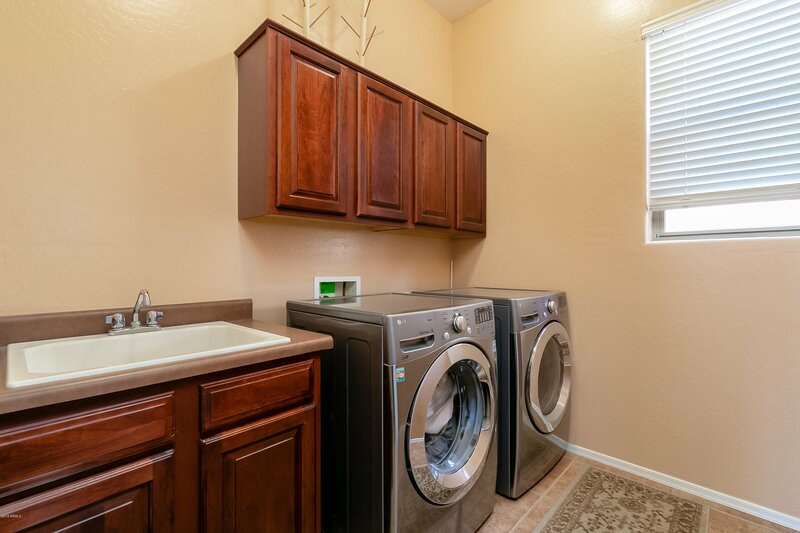 Spacious Master suite features 2 large walk-in closets, bonus space for office/lounge/workout area plus separate sinks & soaking tub. 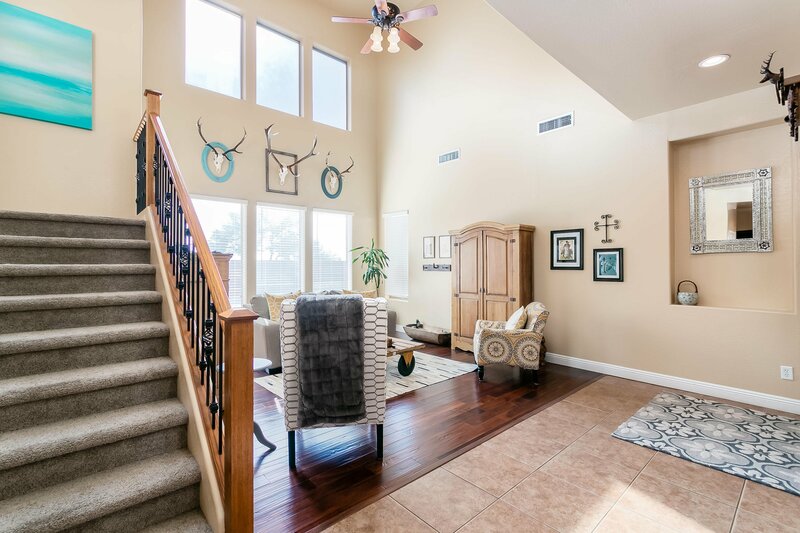 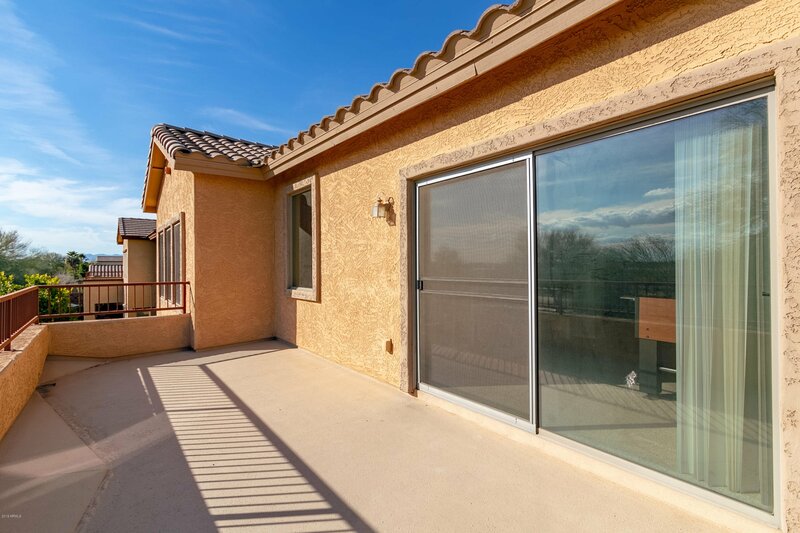 Picture yourself enjoying morning coffee on the master suite, walk-out balcony. 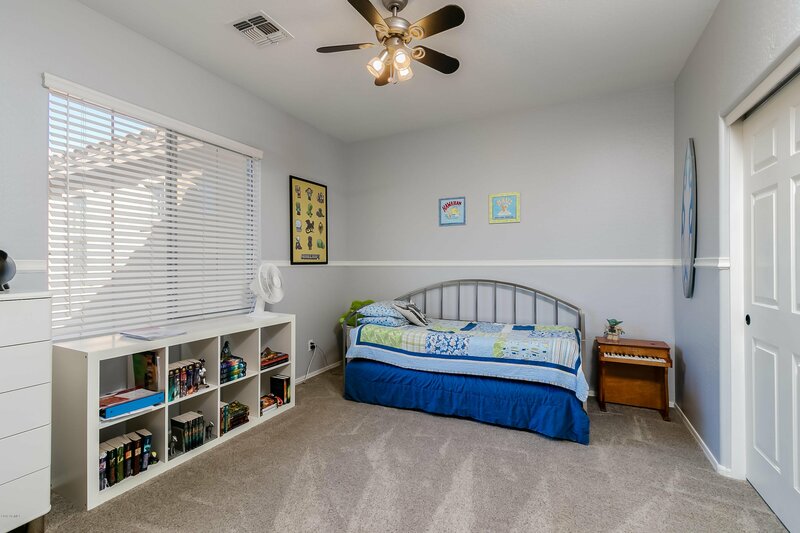 The 4 additional bedrooms are adorned with chair rail detailing. 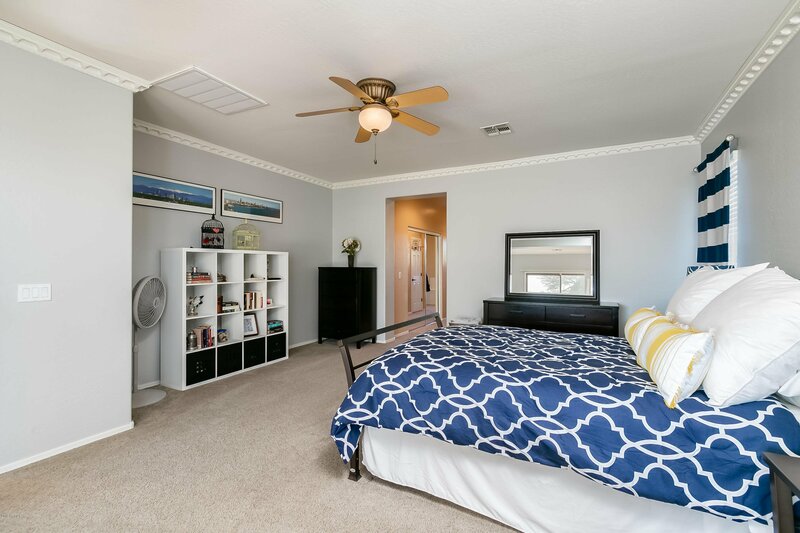 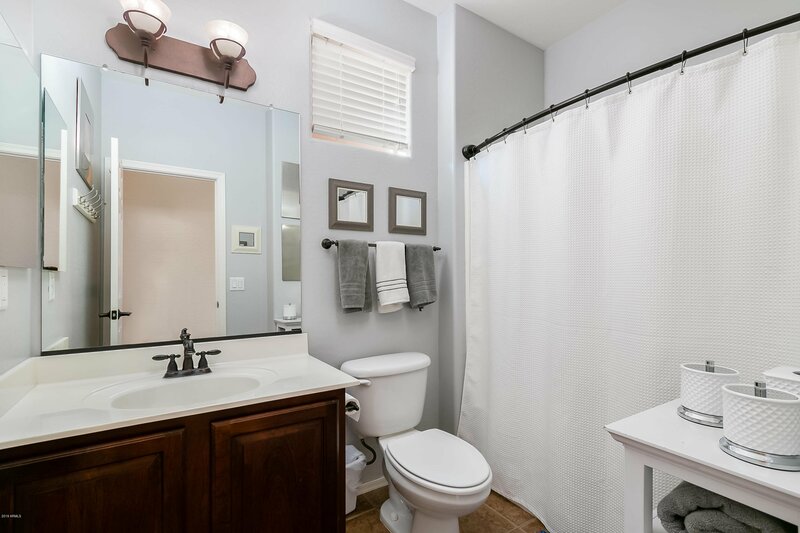 Downstairs bedroom with full bathroom presents a convenient space for private guest suite or office space. 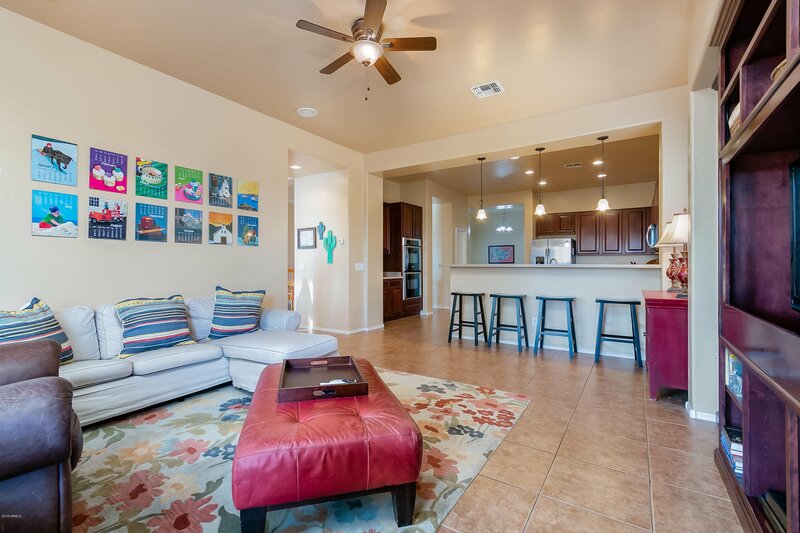 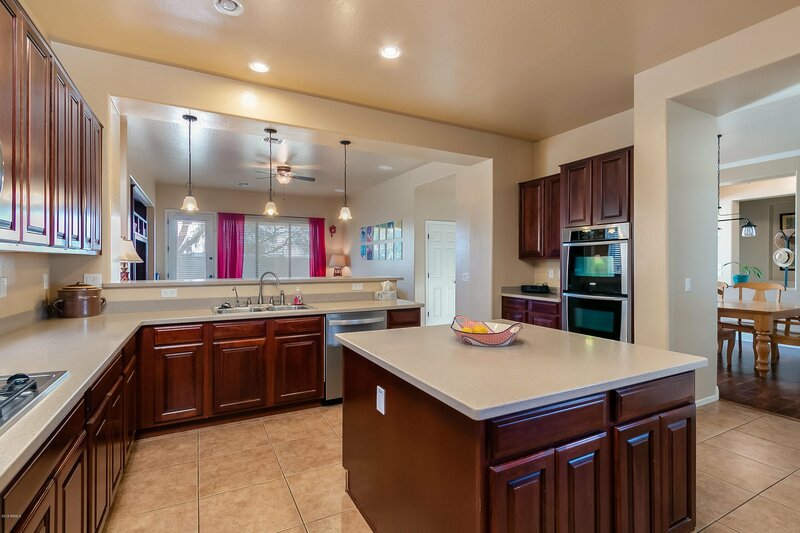 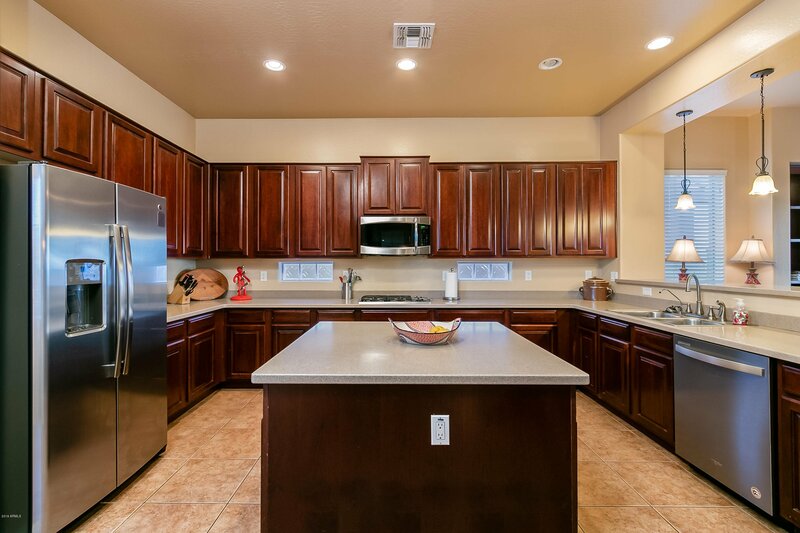 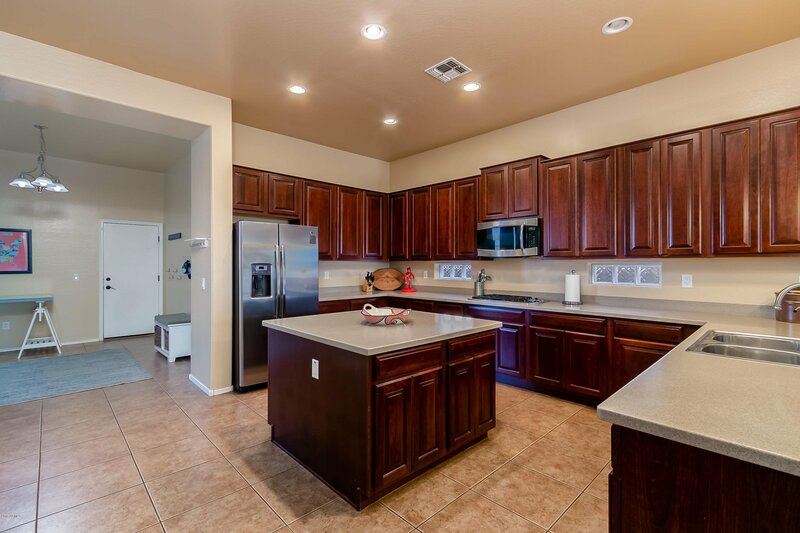 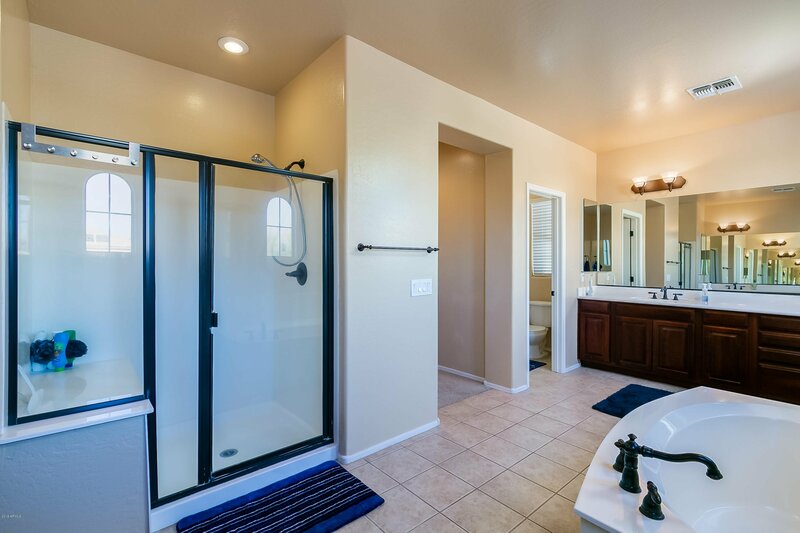 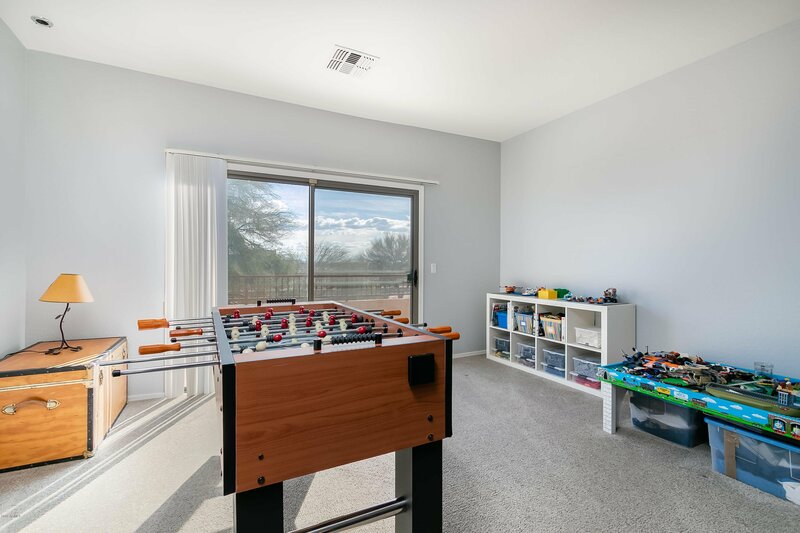 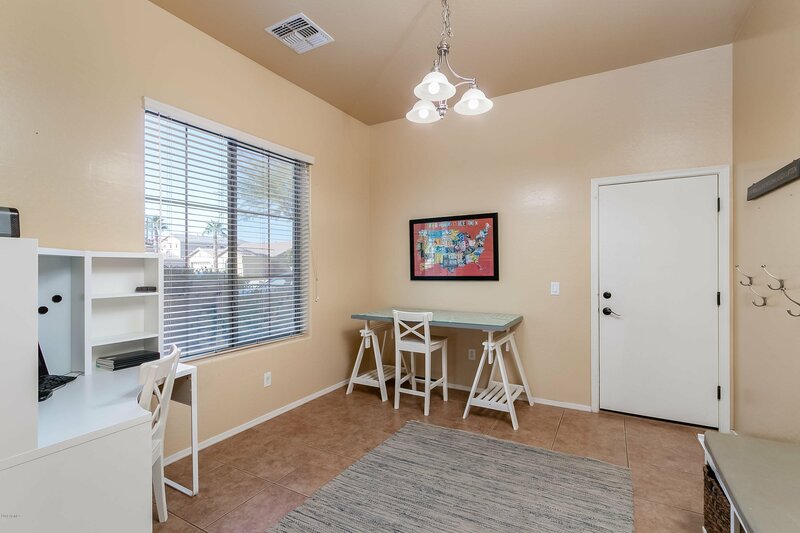 Convenience is key with this home located near several schools, EMCC, dining, shopping & all that Litchfield Park has to offer! 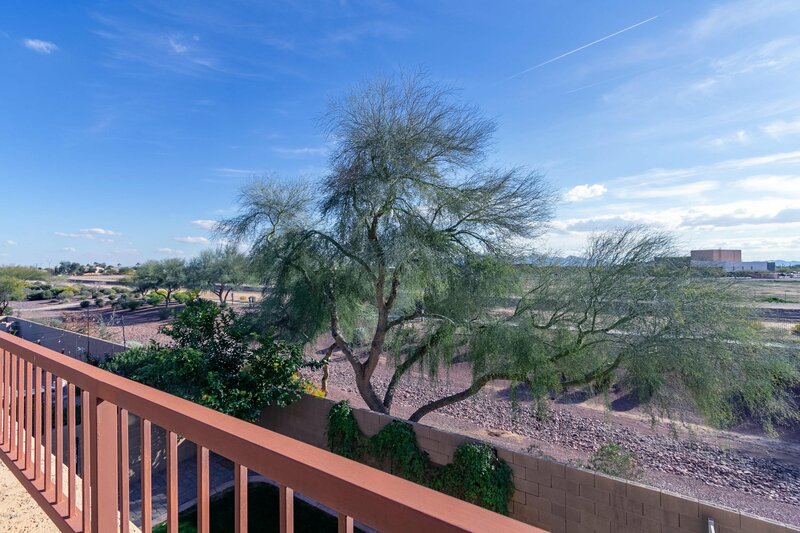 Listing courtesy of Realty ONE Group. 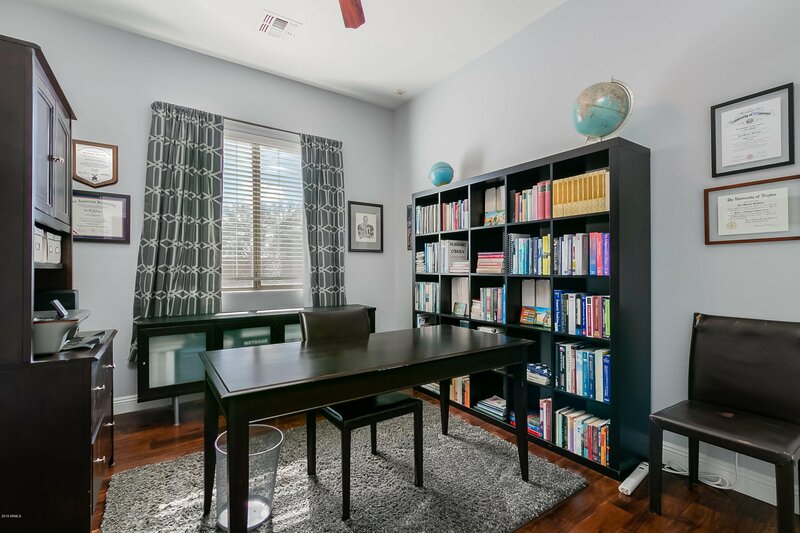 Selling Office: The Housing Professionals.